The Character Evolution Files, No. 2: What Are the Three Types of Character Arcs? Welcome to the Character Evolution Files! This monthly column focuses on character arcs, from the elements that create or enhance a character’s inner journey, to techniques that writers can employ to strengthen character arcs in their own work. Today we continue the series with File No. 02, which discusses the three types of character arcs. We launched the Character Evolution Files last month by defining the term “character evolution,” explaining why character evolution (specifically character arcs) is crucial to a story, and listing the stages that align a standard arc with the story plot. Logically speaking, the next step would be to start exploring the journey through the arc, right? Well… not quite. Here’s the catch: More than one type of character arc exists. Our characters can change for better or worse. Or, perhaps they might not change much, except in strength of resolve. So, how do writers determine what kind of arc a character is following, or which arc fits our story best? That’s the purpose of File No. 2. We’ll go over the three standard types of character arcs and how they differ from each other so we can understand how they function. Plus, we’ll review an example of each arc from published literature, and end with how to determine which type of arc will work best for your character. Ready? Also known as a “change arc” or “the hero’s journey,” the positive arc is the most common type of character evolution. Sometimes the change can be radical, such as a deeply flawed protagonist learning to become a better or more moral person. Other times, it’s a more subtle growth, where the character becomes more well-rounded after overcoming an internal weakness. Regardless, positive arcs resonate most with readers by giving us a character to bond with and root for during the bumpy ride to come. In addition to having a story goal, the character carries a false belief, or an untruth she believes about herself or the world at large. The character suffers from an emotional wound that’s tied to the false belief and has plagued her since before the story began. The external conflict challenges the character’s pursuit of the story goal as well as her false belief, and the character resists initial efforts to change how she thinks. The character’s choices drive the internal conflict. Those choices typically align with the character’s goal and impact her hold on her false belief. Also, not all of those changes will be positive in nature or outcome. The third plot point (a.k.a. the Dark Night of the Soul) shows the character making a (typically) positive final choice concerning her false belief, usually by learning that she needs to let go of that false belief in order to achieve her goal. The ending shows the character shedding her false belief, adopting the opposite truth, and (in most cases) achieving her goal. By then, she’s no longer the person she was in Chapter 1. More accurately, she has changed for the better. The character’s world may also change as a result of her actions. As mentioned earlier, this is only meant to give a basic understanding of how a positive arc works. We’ll discuss false beliefs, emotional wounds, and the other elements listed above in later Character Evolution Files. It would be hard to argue that Harry Potter’s arc is anything but positive. In Harry Potter and the Sorcerer’s Stone, J.K. Rowling introduces our 11-year-old hero, an orphan who knows nothing about his origins. He also doesn’t remember his parents, and has to live with obnoxious, neglectful relatives. Finally, the lightning-bolt scar on his forehead is his only proof that he survived a killing curse from Lord Voldemort, the world’s most notorious wizard. Yet during Sorcerer’s Stone, Harry embarks on his first year at the Hogwarts School of Witchcraft and Wizardry, learning about magic and the world he’d been kept ignorant of. He starts filling in the blanks about his childhood, acknowledging that he misses his parents and finding friends (Ronald Weasley, Hermoine Granger) and a mentor (Professor Dumbledore) who fill the emotional void. With his newfound knowledge and supportive relationships, Harry does the unfathomable when he discovers that Lord Voldemort is attempting to regain his powers: He tries to put a stop to it, once and for all. What’s unique about Harry’s arc is that it’s not contained to a single novel. 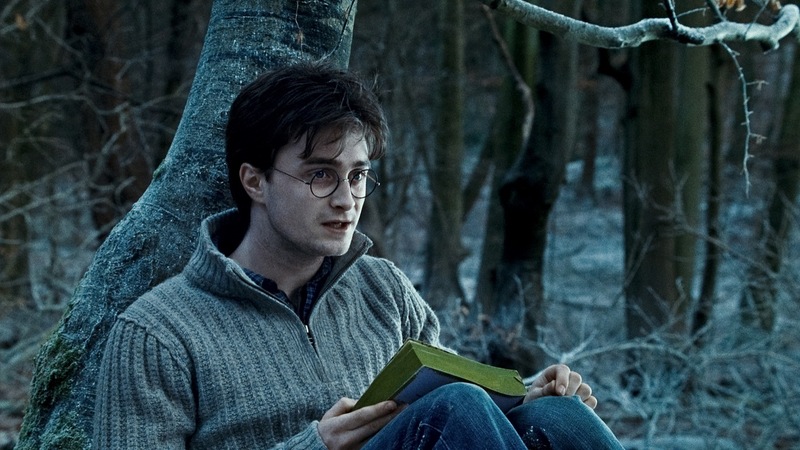 Instead, it’s spread out over seven, each one acting like a mini-arc as Harry learns more about himself and the world he lives in, including Voldemort’s personal history and the true story behind Harry’s parents’ sacrifice. By the climax of the last book Harry Potter and the Deathly Hallows, Harry is equipped with all the external (magic) and internal tools (wizard knowledge, mature emotions) he needs in order to defeat Voldemort – and you bet he puts them into practice. Perhaps you’re familiar with what’s known as a flat arc. A steadfast arc is the same thing, but looks as the concept from a different angle: Instead of showing a noticeable and positive change in character, a steadfast arc shows a growth in resolve. In other words, the character sticks to her convictions and comes out stronger because of the obstacles she overcomes. That resolve drives the character through the external conflict and helps her achieve her goal. It also allows readers to connect with that character, since they may be inspired by the character’s persistence and dedication. Both arcs show characters pursuing a story goal. Characters in either arc typically suffer from an emotional wound. The character’s choices drive the story’s internal conflict, and those choices may be positive or negative in nature or outcome. Instead of a false belief, the character carries a truth she believes about herself or the world at large. That truth is later confirmed by the story’s events. The external conflict challenges the character through obstacles she must overcome en route to her goal, and by doing so reflects the truth that the character believes. The third plot point (a.k.a. the Dark Night of the Soul) shows the character making a final choice based on the truth she believes. The ending demonstrates how the character’s stronger resolve leads to success, with the character achieving her story goal and defeating the outer antagonist / external conflict. She comes away believing in the truth even more than she had previously. She may have also acquired new skills along the way, but she hasn’t changed much since Chapter 1. Even though the character doesn’t change, the character’s world changes as a result of her actions. One could argue that Katniss Everdeen from Suzanne Collins’ Hunger Games Trilogy has a positive arc. 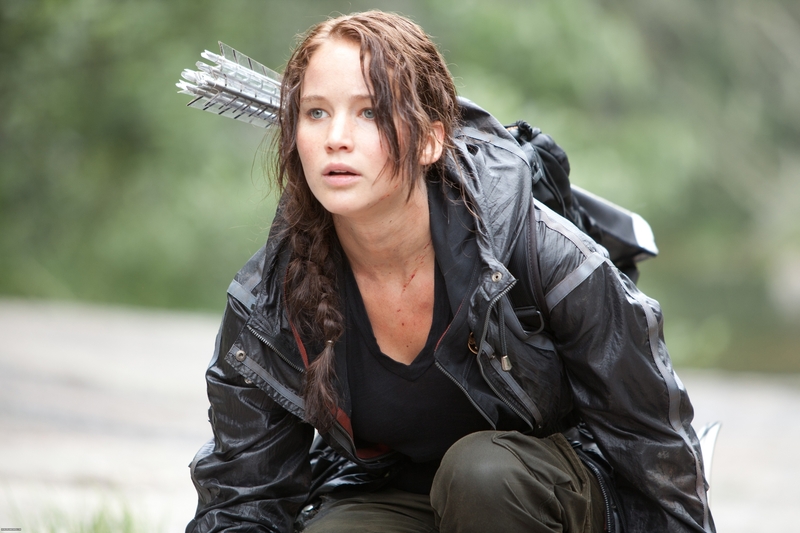 However, if you study Katniss’ arc more closely, you’ll see she’s more of a steadfast character than one who evolves. Let’s take the trilogy’s first book, The Hunger Games, as an example. Like most of her fellow citizens of Panem, Katniss views her country’s Capitol as cruel and corrupt (truth), a belief that’s validated during her participation in the violent Hunger Games (external conflict). Yet, despite the horrors and setbacks, Katniss never wavers from her goal of surviving for her family’s sake. This leads Katniss to defy the Capitol (final choice) with a controversial tie between her and fellow tribute Peeta Mellark (ending = stronger resolve), thus changing her world by planting seeds of revolution that take root and grow in the later books. Katniss herself isn’t much different in the end, though. She’s still the somber, clever girl she was when The Hunger Games began; and she hasn’t shed any flaws like her stubbornness or causticity. In fact, the final chapter shows Katniss confused about her feelings for Peeta and wary of the political consequences of her decisions. Therefore, she hasn’t arrived in a “better place” because of winning the Hunger Games – but she’s more certain than ever about the Capitol’s oppression. Are steadfast arcs a form of character evolution? If we want to follow our working definition of “character evolution” from File No. 01, the initial answer would be “No.” However, steadfast arcs can still create compelling stories and characters. Learning how to craft a strong steadfast arc can only add more knowledge to a writer’s toolbox. So, expect to see more about steadfast arcs here in the future. Not every story has a happy ending. Such is the premise of a negative arc. Perhaps the character is disillusioned by naivety or ignorance, and discovers a more tragic truth once she outgrows those traits. Or, maybe the character refuses to let go of her false belief, thus setting off a chain of events that leads to her downfall. Or, perhaps she rejects the truth for a more “favorable” false belief that eventually corrupts her. No matter the route, a negative arc is never pretty and often downright depressing. However, when crafted correctly, it can be as gripping and heart-rending as a positive or steadfast arc. It shows a character actively working toward a story goal. Its focal character may be afflicted with an emotional wounds. The character’s choices steer her internal conflict. The external conflict challenges the character’s pursuit of her goal. False beliefs and truths are crucial to a negative arc, though they play different roles than they do in positive or steadfast arcs. How the external conflict challenges the character depends on what kind of negative arc is at work. The ending ushers in a character change that leaves the character with a sense of disappointment (harsh reality), or in a worse position than she was at the start of the story (tragic downfall, corruption). That worse position can range from increased immorality, to insanity or a deteriorated mental condition, to physical illness or death. Not everyone will agree with this choice, but I’m willing to defend why Thorin Oakenshield of J.R.R. Tolkien’s The Hobbit has a negative arc. His pride as well as his goal of reclaiming Erebor from the dragon Smaug lure Thorin into thinking that wealth and power trump alliances, friendship – virtually all else in life (false belief). Once Thorin becomes entrenched in this lie, he holes himself up in the mountain and refuses to lend Erebor’s wealth for rebuilding Lake-town (external conflict), even though he’s partly to blame for the town’s destruction. Thorin’s long-standing grudge against the Woodland Elves and his violent lashing-out at Bilbo before the Battle of the Five Armies also push him farther away from salvation. Based on his choices and overall trajectory, Thorin’s journey could fall under the “tragic downfall” or “corruption” negative arc. The difference, however, is that Thorin redeems himself before the end. Instead of sinking with his false belief, he rejects it in favor of the truth (alliances and friendship matter more than wealth). Thus, Thorin leads his company and joins the Elves, the Men of Lake-town, and the Dwarves of the Iron Hills for the final battle (final choice). He pays the ultimate price in the end, but he still achieves his goal and gains a more positive insight on life before then. For a more traditional example of a negative arc, we can look to Dorian Gray from Oscar Wilde’s The Picture of Dorian Gray. Handsome and narcissistic, Dorian values his looks above all else and is convinced that sensual fulfillment is his life’s pursuit (false belief / goal). When Dorian sees his portrait for the first time, he wishes for the painting to age in his stead so he can remain eternally youthful. He pursues a life of hedonism, destroying friendships and chances for love along the way (external conflict). He never ages over 20 years, but he’s fascinated and horrified over how his portrait changes to reflect his corrupted soul (internal conflict). It takes Dorian until the end to realize how his poor choices have made him who he is. But when he rejects his false belief and destroys the painting (final choice), it’s already too late. Do All Stories Follow These Arcs Exactly? Not really. The outlines above show the standard path for each type of arc. But if you search through the stories you’ve read, you’ll find myriad examples of character arcs that deviate from these standards. We’ve already mentioned Thorin Oakenshield of The Hobbit. How about Eddard “Ned” Stark from George R.R. Martin’s A Game of Thrones? He travels either a “harsh reality” negative arc as he clings to moral integrity in King Landing’s political morass, or a steadfast arc with a tragic ending for the same reason. And in Veronica Roth’s Allegiant, Tris Prior and her love interest Tobias Eaton both undergo positive or steadfast arcs – and while their actions make their world a better place, neither character ends up truly happy. How Do I Know Which Arc I Should Use in My Story? First, it will depend on the kind of story you want to tell. If you want a triumphant ending, your best bet might be a positive or steadfast arc. If you’d rather see how low your character can sink, try one of the negative arcs. Or, as we discussed in the previous section, you can deviate from any of the standard arcs just as other writers have. My current WIP pushes the protagonist through a positive arc. However, because the character is her own worst enemy, the impact of her final choice could make her either a heroine or a villain. So, you could say it’s a positive arc bordering on a tragic downfall. Sounds twisted, right? Second, you need to know your character as deeply as possible before determining the most appropriate arc for your story. Start by asking as many questions as possible about your character, and be willing to probe the darkest corners of her psyche. What are her positive traits and flaws? Her childhood, past history, and her goals for the future? What is her greatest fear, the thing that would cripple her if it became real? When you’re done, imagine different story scenarios where your character could grow or change in positive or negative ways. Which scenario intrigues you the most? Maybe that’s the direction you should take. See what happens when you try this exercise, or the one outlined in my Character Arc Themes Worksheet. Then, come back in late September for File No. 03, where we’ll start our journey through character evolution with the Trigger / Inciting Event. As we journey through the character arc, I’d like to use an example from published literature to illustrate each stage. A well-known character with a positive arc would be ideal. (Separate articles on the journey through steadfast and negative arcs would follow later.) Who would you like to see? Maybe Aragorn from Tolkien’s Lord of the Rings? Tris from Divergent? Or should I continue with Harry or one of the other examples listed in the Positive Arcs section? What other literary characters do you consider examples of positive, steadfast, or negative arcs? If you’re working on a story, what kind of arc do you think your protagonist is following? Do you think any of the three arc types are more difficult to craft than the others? Interesting you’ve come up with three major divisions. But do you really think these are the whole story? Or do people shoe-horn stories to try and fit the paradigm after the fact? I’m not sure I understand your question. If you’re asking whether writers should try to force their character arcs to be a perfect fit to one of the three shown above, my answer is “no.” And that’s the point I bring up in the section “Do All Stories Follow These Arcs Exactly?” The three arcs listed are the most common ones found in literature – but there are plenty of examples that deviate or border on two different arc types. In the end, I think having a strong understanding of how character arcs work can help writers craft stronger stories. But it’s also important for writers to a) recognize that not all arcs fit these three to a T, and b) use creative license on their part to do what they think is best for their character’s development. My plan is to explore this more as this column continues. I hope this answer helps in some way…? Another fantastic article in the series, Sara! I love it. I would personally like to see you continue with Harry/Aragorn, or some other character that has been adapted to a movie, as well… at least that way, it’s easier to relate to the story (I have not read Tamora Pierce, for example, so couldn’t follow along there). Thanks, Alex! 🙂 This did take some time to put together, and I had to delay finishing it so I could complete my DIY MFA coverage of Writer’s Digest Conference in a timely manner. But once I put my head down and really focused on it, everything started coming together. I’m also surprised by some of the details I found along the way (especially finding common elements between each arc). I love your Archetypes series and look forward to the next installment! And I have to confess, the quiz on the Archetypes site is SO ADDICTING. I did it not only for myself, but also a bunch of the characters from TKC. *lol* Did you take the quiz for yourself as well, Alex? Where did you fall? Aragorn is an awesome choice. ☺ his arc is also easier to parse, I think. I can’t actually remember where I fell in that test. I’ll have to take it again! Yes! Let me know how it comes out if you do. I just find it neat to see how everyone compares on archetypes and MBTI personalities. I vote Aragorn (that was probably predictable). This was a great post Sara 🙂 I agree completely about Thorin, by the way. I feel like in Mockingjay, Katniss takes a part-way negative arc, which is never resolved (I have angry thoughts about that book-still-and I’m one of the five people who aren’t big Katniss fans anyhow, so I’m probably biased, lol), though I agree that her arc is more steadfast in The Hunger Games. And can you believe that I’ve never even seen that Archetypes site (feels new addiction coming on). Thanks, Rebekah! I’m already pretty sure that I’ll use Aragorn as an example for the upcoming “journey through the arc.” Like Alex and I were saying, he’s known well enough by most readers (well, mainly the demographic of this blog) that most everyone should be able to follow along easily. *high fives* Thorin was the first character I thought of to use as a negative arc example. Of course, he made things difficult by not following the “typical” path (hence the Dorian Gray example afterwards). I wasn’t sure if other readers would agree with me about the nature of his arc because of how he redeems himself, but I’d be hard-pressed to call it positive. *lol* Yep, that sounds a lot like how I felt after reading Mockingjay. Just curious, but did you ever check out the Divergent trilogy? Oh, thanks for that link! Interesting essay there. Yes, I actually read ALL THREE. And I’m one of the people who liked Allegiant. I found the whole series to be overlong and a bit patchy (among other things), but I enjoyed them. Allegiant, in particular, stood out for me. You? Really? I also read the entire Divergent Trilogy – and I thought Allegiant was one of the worst books I’ve ever read. Not for the reasons other people loathed it (in other words, not the ending). I reviewed it earlier here earlier this year… in April, I think? Hahahaha. First off, the Divergent series is like a B-movie. It’s not art but it’s a fun ride. Hunger Games, well, I expected much more because it was better. At first. I read your review (& it was good, by the way). It’s complicated. HG really hooked me, and I felt like it went downhill from there. I read Divergent for reviewing, forgot it existed until Insurgent (which was a long and boring mess), and then forgot about it again until the hubub that was Allegiant. Allegiant was not a good book (if well written and lasting = good), but I felt like Roth was true to her characters and ideas (even if she didn’t deliver! ), and ended her book the way she planned. Collins, on the other hand, started a book about one person in a bad place, proceeded to a revolution, slipped into “all fighting and war is equally bad regardless of reasons,” & then ended with a jarring, soppy, slapped on ending. You know, even though I don’t totally agree with you about Allegiant, I can see where you’re coming from. Tris and Tobias do act “in character” throughout the book, and the story’s themes are consistent with those from Divergent and Insurgent. I just think I was so appalled by the sloppy writing that I stopped caring about everything else. I don’t know how to describe except a fog-like domino effect; if enough aspects of a story bother me after a while, they bother me so much that it’s hard to see its highlights or strengths. *nods her head* I couldn’t have worded my thoughts on Mockingjay better than you did there. Disagreement is one of the spices of life, in my humble opinion. Hive brain scares me. That’s why I don’t usually like book-to-movie adaptations unless it’s been a long time since I read the book! I did get your email about Graceling, btw… But I’ve been so out straight that I haven’t had time to respond. I agree about Thorin too. It’s mostly negative, then quick transforms into a positive, which was cool to see. I’m glad it ended with him being positive. It would have been too tragic otherwise. My WIP falls into the positive. And like HP it spans several books. :) Will your TKC span several books too? Agreed. It also wouldn’t have been as endearing, I think. Especially in the film version of The Hobbit, since they fleshed out Thorin’s character more and gave the audience reasons to care about him. The book does, too, but not to the same extent as the movies. This is a really great post. ^ ^ I’ve never heard of steadfast arcs, but this is good to know about! I’d personally like to see some Aragorn but he’s one of my favorite characters ever so I’m biased. XD I tend toward positive arcs at least with my main characters. I like seeing a character triumph at the end. I wanted to address flat / steadfast arcs since I’d read about them on other writing websites. But I didn’t agree with the name “flat arc.” Even though the character change isn’t as noticeable, the plot tests the character’s resolve to the point that the character is forced to believe in herself more than ever in order to reach her goal. She becomes more dedicated, persistent, courageous, etc., but not necessarily a different person. So that’s why I decided to call it a “steadfast” arc instead of a “flat” arc. Do you think it makes sense? So you’d say that Subsapien and Red Hood feature mostly positive arcs for your main characters? Lol kk. XD Some of my side characters have arcs just not all lol. Hi. Great post. I realized now that I tend to create Steadfast arc characters. I like more determined characters who carry their own traits and ways of thinking but also dynamic enough to find and learn new things about their surroundings. I tend to play with “what happens if this character put in the same room with that character? What kind of conversation would happen?” I also like negative arc character like Daniel Plainview in There Will Be Blood. That guy’s awesome. Hi, Ilham! That’s awesome that you were able to identify which arcs you tend to write! 😀 And steadfast arcs (and characters) are great to explore. They may not change as much as positive or negative arcs, but they’re endearing and inspiring in their own way. I think I have a slight preference for positive arcs, but I’d never be opposed to trying the other two in future stories. This is a really interesting article. I’m going through a phase of trying to learn (and put into practice) this kind of thing, so I think this series will be useful. 🙂 Thank you for doing it. One of my goals for the next article is also to debut some kind of chart / image that shows the arc stages side by side with their corresponding story structure terms. That way, readers can see how the two correlate and keep the plot in mind as well as the character’s arc. I’ll also make points about that in the body of the article, too. Thanks, Kaitlin! Yes, it’s important to remember that there are other types of arcs out there, not just the positive one. Your comment about your story makes me curious, too… Do you that particular character’s journey fits any of the three negative arcs? Or does he/she still manage to come around before the end? Can I just say how incredible you are, Sara? Seriously, I’ve learned so much from this Character Evolution series already, and I cannot wait to see what you come up with next. I especially loved your shift in perspective from a “flat arc” to a “steadfast arc” in this post. I’ve always thought of a flat arc as a bad thing, but you’ve completely changed my way of thinking there! I’m really glad that readers like the change from “flat arc” to “steadfast arc,” and even more so that they agree with the new angle on the concept. I read a couple other articles that discussed flat arcs while writing this piece, and… I didn’t agree with all of their points. Nor did I like the term “flat arc” that much when I realized how I felt. So I opted for a different approach, and in hindsight I’m grateful I did that. YES. Ellesar Telcontar for the win! Haha! Yep, the House of Elendil became the House of Telcontar when Aragorn became king. It means “Strider” in Quenya! Another great post! Through the course of a novel I’m always wondering if my character is changing enough or if I’ve given them enough flaws in the beginning to overcome and struggle with. Thanks, Vanessa! 🙂 I’m glad you found it helpful. The next article starts our journey through the character arc stages, so maybe you’ll find that one interesting too. I’m hoping to have it out before the end of this month. Reblogged this on Sahara Foley's Books and Book Reviews. It’s hard to say whether your MC’s doubts about her parentage mark the beginning of her Act III without having read the story, to be honest… But it’s definitely an interesting twist, and doubt of any kind is bound to surface as she strives to live up to her father’s legend. I just stumbled across your blog for the first time in Pinterest tonight. I must say I haven’t heard of the flat arc depicted as “steadfast.” It’s genius! I’ve never fully understood how it effects the protagonist inner conflict before. It always felt like the “lazy arc,” as bad as that sounds. This opens up a whole new passage of thought to explore… Thank you! Oh, I must confess my curiosity over your last name. Are you, by any chance, related to R. G. Letourneau of Letourneau University? Anyways, I’m really glad this post helped you look at steadfast arcs from a new angle. Next year I’m planning to dive in and study them in depth just as I did this year with positive arcs. So if you’re interested in learning even more, stay tuned!